VEHICLE COMPATIBILITY: BUICK:? 1997 - 2005 Century? 1995 - 2004 Le Sabre? 1995 - 2005 Park Avenue? 2004 - 2007 Rainier? 1995 - 2004 Regal? 2002 - 2007 Rendezvous? 1996 - 1999 Riviera? 1995 - 1996 Roadmaster? 1996 - 1998 Skylark? CADILLAC:? 1992 - 1995 Eldorado? 2003 - 2006 Escalade? 2003 - 2006 Escalade ESV? 2003 - 2006 Escalade EXT? 1993 - 1996 Fleetwood? 1992 ? 1995 Seville? CHEVROLET:? 2003 - 2006 Avalanche? 2003 - 2004 S-10 Blazer? 2000 - 2005 Cavalier? 2004 Classic Malibu? 2004 - 2007 Colorado? 2001 - 2006 Express Van? 2000 - 2005 Impala / Impala SS? 2001 - 2003 Malibu? 2000 - 2005 Monte Carlo? 2002 - 2004 S-10 Pickup? 2003 - 2007 Silverado (07 Classic)? 2004 - 2006 SSR? 2003 - 2006 Suburban? 2003 - 2006 Tahoe? 2002 - 2007 Trailblazer? 2000 - 2005 Venture? GMC:? 2004 - 2007 Canyon? 2002 - 2007 Envoy / XUV? 2001 - 2007 Savanna? 1999 - 2007 Sierra 1500 - 3500 (07 classic badge)? 2002 - 2004 Sonoma? 2003 - 2006 Yukon? 2003 - 2006 Yukon XL? HUMMER:? 2006 H1 Alpha? 2003 - 2005 H1? 2003 - 2007 H2? ISUZU:? 2004 - 2007 Ascender? 2006 - 2007 I280 / I350? 1998 - 2004 Rodeo? 2001 - 2003 Rodeo Sport? OLDSMOBILE:? 1996 - 1998 Achieva? 1999 - 2004 Alero? 1995 - 2003 Aurora? 2002 - 2004 Bravada? 1997 - 1999 Cutlass? 1995 - 1997 Cutlass Supreme? 1994 - 1999 Eighty-Eight? 1998 - 2001 Intrigue? 1994 - 1996 Ninety-Eight? 1994 - 1998 Regency? 2000 - 2004 Silhouette? PONTIAC:? 2001 - 2005 Aztek? 2000 - 2005 Bonneville? 2000 - 2005 Montana? 2000 - 2005 Sunfire? SUZUKI:? 1999 - 2002 Grand Vitara? 1996 - 1998 Sidekick? 1995 - 2002 Swift? TOYOTA:? 2002 - 2004 MatrixStereo General Features: digital multimedia receiver, 6.2" touchscreen display with variable color illumination, built-in Bluetooth for hands-free calling and audio streaming, fits double-DIN dash openings. Picture Adjustments: You can store numerous video settings for the head unit's video sources and rearview camera; including brightness (adjusts the black intensity), contrast (adjusts contrast) color (adjusts color saturation), hue (adjust color tone), and Dimmer (adjusts brightness).Background (Wallpaper): You can select between a variety of preset background (wallpaper) images for the Menu screen and AV operation screen. You can also adjust the color of the on-screen display; choose between red, amber, green, blue or white. Steering Wheel Control Input: The head unit features an OEM steering wheel remote control input on the rear of the unit that lets you keep your vehicle's factory radio steering wheel remote controls when used with an optional steering wheel audio controParking Brake Interlock: This unit has a parking brake interlock system that prohibits viewing of video programming and operating certain controls when the vehicle is in motion. In order to watch video on the in-dash monitor, the vehicle must be stopped with the parking brake engaged. The head unit's light green wire must be connected to your vehicle's parking brake detection circuit. The head unit's touchscreen will display "Attention! Viewing of front seat video source while driving is strictlREAR VIEW CAMERA: ( Black) License Plate Mount Rear View Backup Color Camera w/ Distance Scale Line Universal Rear View Backup Camera Mounting Style: Top of License Plate Frame, Viewing Angle: 170°, Waterproof: Yes, Nightvision: Yes, Fog resistant, Distance scale line, Resolution: 656 x 492, Auto white balance, 17' male to male RCA video cable, Dimensions (Camera): 1. General Features: Pioneer FH-S500BT In-Dash Receiver Control Spotify and Pandora Supports Siri Eyes Free Dual phone connection via Bluetooth CEA-2006 compliant amplifier Power Output: Peak: 50 watts x 4 channels RMS: 15 watts x 4 channels Theft-deterrent, detachable face plate: Optional?Receiver Faceplate Case?Available CD text information display AM/FM tuner with 18FM/12AM presets Remote control included Playback and Audio Features: Compatible with Apple iPhone 6/6+ and iOS 8 software 13-band graphic/parametric equalizer 3.5mm Front Audio Auxiliary Input Front USB Input 2 Sets of 2V preamp outputs (front, rear and subwoofer) ***?NOT FOR JBL OR FACTORY AMPLIFIED VEHICLES ***? Compatible Vehicles FITS THE FOLLOWING VEHICLES TOYOTA 2003-2008 COROLLA? TOY-K958 Dash Kit Fits select 2003-08 Toyota Corolla models ? double-DIN radios Detailed Installation Instructions Safe &Secure Mounting? TWH-950 Wire Harness to Connect an Aftermarket Stereo Receiver to Select 1987-2008 Toyota Vehicles Harness is used when installing an aftermarket stereo Compatible with Select 1987-2008 Toyota Vehicles Scosche Equivalent: Scosche TA02B and Metra Equivalent: Metra 70-1761 Auxillary Input: Front / USB Input: FrontBluetooth Hands-Free Calling and Audio Streaming. Stay safe and obey local hands-free laws with built-in Bluetooth (HFP). From hands-free calling, wireless audio streaming (A2DP) with artist, album, and song search, simple pairing, and control audio (AVRCP), Bluetooth wireless technology has made life in the vehicle much more convenient., CD PlayerAuxillary Input: Front / USB Input: FrontDASH KIT:TOY-K958 Dash Kit Fits select 2003-08 Toyota Corolla models — double-DIN radios. 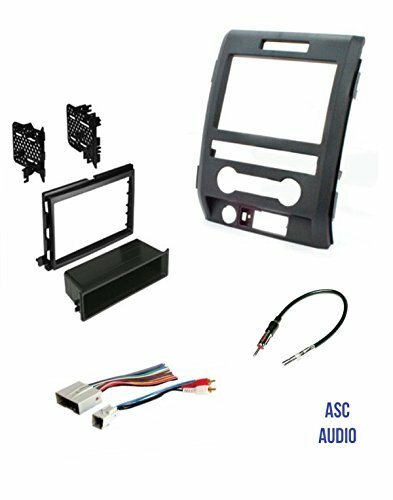 This dash kit allows you to replace your vehicle's factory stereo to improve the overall sound quality of your car audio system. 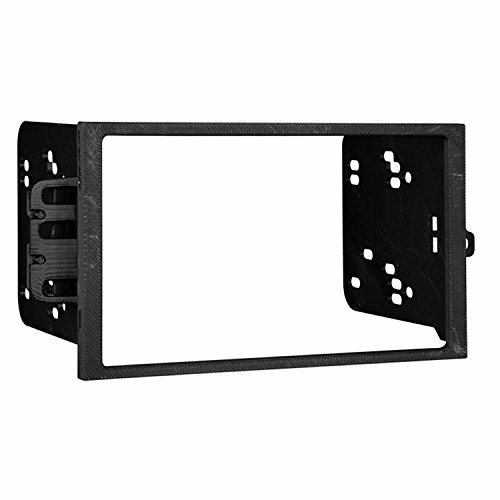 It has been designed with high quality automotive grade ABS plastic to match the texture of your factory dash. Installation of this kit is simple. 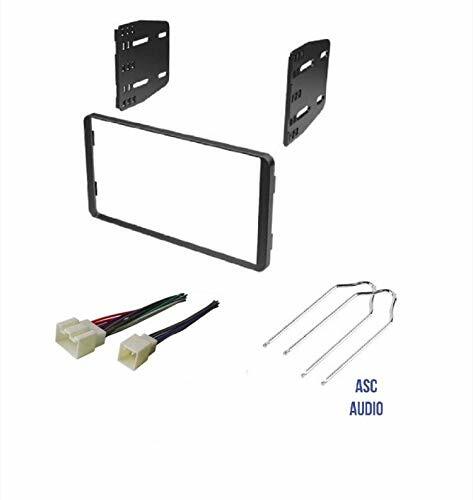 No special tools are required and the included step-by-step instructions will guide you through the install.WIRE HARNESS: TWH-950 Wire Harness.When replacing your factory radio with an after-market car stereo, a wire harness is a must for a quick installation. It eliminates cutting your OE radio plug helping to maintain your cars value. 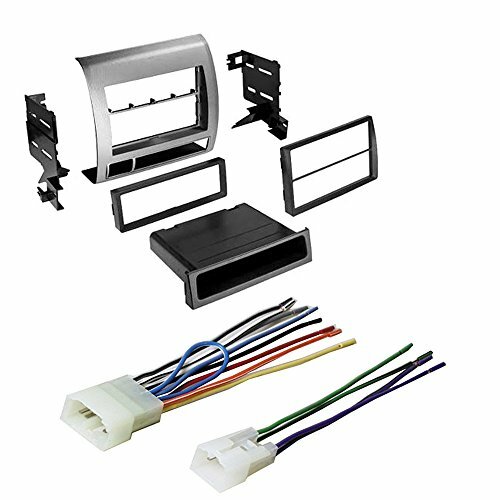 After connecting it, your install is simple as the wires will color-match and easily connect to the after-market stereo. Without a wiring harness you will have to cut the factory harness and then test each wire to connect to your radio. VEHICLE COMPATIBILITY: CHEVROLET:? 2003 - 2006 Avalanche? 2003 - 2004 S-10 Blazer? 2000 - 2005 Cavalier? 2004 Classic Malibu? 2004 - 2007 Colorado? 2001 - 2006 Express Van? 2000 - 2005 Impala / Impala SS? 2001 - 2003 Malibu? 2000 - 2005 Monte Carlo? 2002 - 2004 S-10 Pickup? 2003 - 2007 Silverado (07 Classic)? 2004 - 2006 SSR? 2003 - 2006 Suburban? 2003 - 2006 Tahoe? 2002 - 2007 Trailblazer? 2000 - 2005 Venture? GMC:? 2004 - 2007 Canyon? 2002 - 2007 Envoy / XUV? 2001 - 2007 Savanna? 1999 - 2007 Sierra 1500 - 3500 (07 classic badge)? 2002 - 2004 Sonoma? 2003 - 2006 Yukon? 2003 - 2006 Yukon XL? HUMMER:? 2006 H1 Alpha? 2003 - 2005 H1? 2003 - 2007 H2? ISUZU:? 2004 - 2007 Ascender? 2006 - 2007 I280 / I350? 1998 - 2004 Rodeo? 2001 - 2003 Rodeo Sport? OLDSMOBILE:? 1996 - 1998 Achieva? 1999 - 2004 Alero? 1995 - 2003 Aurora? 2002 - 2004 Bravada? 1997 - 1999 Cutlass? 1995 - 1997 Cutlass Supreme? 1994 - 1999 Eighty-Eight? 1998 - 2001 Intrigue? 1994 - 1996 Ninety-Eight? 1994 - 1998 Regency? 2000 - 2004 Silhouette? PONTIAC:? 2001 - 2005 Aztek? 2000 - 2005 Bonneville? 2000 - 2005 Montana? 2000 - 2005 Sunfire? SUZUKI:? 1999 - 2002 Grand Vitara? 1996 - 1998 Sidekick? 1995 - 2002 Swift? TOYOTA:? 2002 - 2004 MatrixFH-S700BS - Pioneer In-Dash 2-DIN CD/MP3/USB Car Stereo Receiver with Bluetooth, Pandora Link, MIXTRAX, Spotify and iPod Support, Display with LED Backlight VA LCD (2-Line), Dimmer Setting (On/Off), Brightness Control 10-Level, Color Customization 210,000 Colors, Dual-ZoneCompatible with Apple iPhone 6/6+ and iOS 8 software, 13-band graphic equalizer, 3.5mm Front Audio Auxiliary Input, Front USB Input, 3 Sets of 2V preamp outputs (front, rear and subwoofer)DASH KIT:GM-K422 Double DIN Installation(1992-2011GM Vehicles)This dash kit allows you to replace your vehicle's factory stereo to improve the overall sound quality of your car audio system. 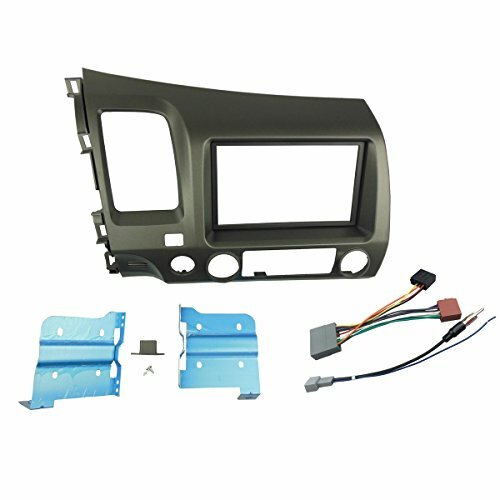 It has been designed with high quality automotive grade ABS plastic to match the texture of your factory dash. Installation of this kit is simple. 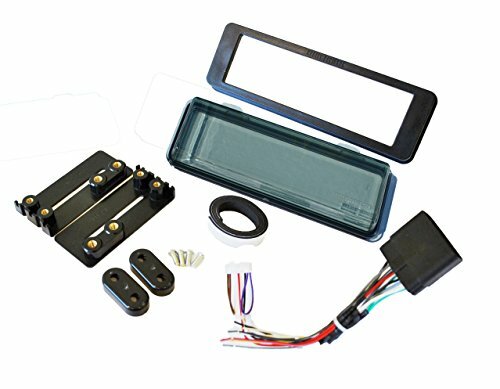 No special tools are required and the included step-by-step instructions will guide you through the install.WIRING HARNESS:GWH-404 (2004-2008 Chevrolet and Pontiac Vehicles) When replacing your factory radio with an after-market car stereo, a wire harness is a must for a quick installation. It eliminates cutting your OE radio plug helping to maintain your cars value. After connecting it, your install is simple as the wires will color-match and easily connect to the after-market stereo. 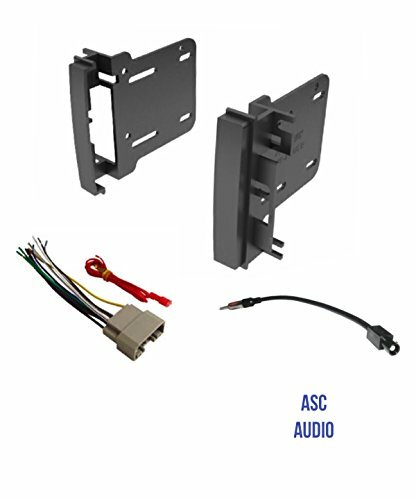 Without a wiring harness you will have to cut the factory harness and then test each wire to connect to your radio.RADIO ANTENNA: GM-6 Chevrolet / GM Radio Antenna Adapter.This small accessory is required for aftermarket radio playback if you own a GM or Chevrolet made vehicle. 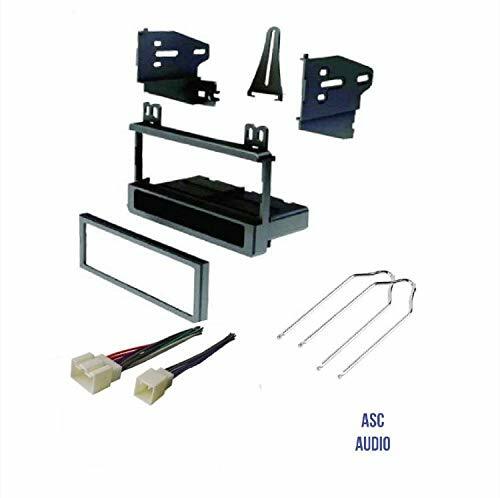 The adaptor changes the GM / Chevy style antenna into industry standard for aftermarket units. If you purchase a new CD player and want to be able to use the radio in your GM/Chevrolet vehicle, you must purchase this accessory. JVC KW-R930BTS In-Dash Receiver Dual phone full-time connection 5 Bluetooth-audio connection Streaming DJ feature lets you and your friends take turns controlling the tunes CEA-2006 compliant amplifier Power Output: Peak: 50 watts x 4 channels RMS: 22 watts x 4 channels CD text information display Dual zone variable color illumination MP3 ID3 Tag Display (Title/Artist/Album) AM/FM tuner with 18FM/6AM presets Remote control included This package does not retain factory amplified systems and does require routing of the accessory power wire to the fuse box - the wire is supplied with the harness Chrysler ? 2012-2014 200 ? 2008-2010 300 ? 2008-2009 Aspen ? 2007-2010 Sebring ? 2008-2015 Town & Country Dodge ? 2008-2014 Avenger ? 2009-2012 Caliber ? 2008-2015 Grand Caravan ? 2009-2014 Challenger ? 2008-2010 Charger ? 2008-2010 Dakota ? 2008-2009 Durango ? 2009-2010 Journey ? 2008 Magnum ? 2007-2010 Nitro ? 2009-2010 Ram 1500 ? 2010 Ram 2500 ? 2010 Ram 3500 Jeep ? 2008-2010 Commander ? 2009-2015 Compass ? 2008-2010 Grand Cherokee ? 2008-2012 Liberty ? 2009-2015 Patriot ? 2007-2015 Wrangler Mitsubishi ? 2008-2009 Raider Ram ? 2011-2012 RAM 1500 ? 2011 Ram 2500 ? 2011 Ram 3500 Volkswagen ? 2009-2012 Routan JVC KW-R930BTS 2-Din In-Dash Car Stereo with Bluetooth/USB/iPhone/Sirius/CD. 2-Line VA LCD Display: Equipped with VA (Vertical Alignment) LCD panels that offer a broader angle of view and better visibility. The 2-line display provides more information with animation effects. 2-Zone Variable-Color Illumination: You can mix the front panel illumination, separated into 2 zones. 50 preset patterns (49 colors + 1 user color preset) are available for easy customization.In addition, manual setting is possible to set each RGB color by 32 steps, providing a total of 32,768 different colors for each zone, 1 and 2, to match your preferences. You can even enjoy moving illumination, selectable from 10 color animation patters.. Spanish Text Display Compatible. 2 Phones Full-Time Connection: You can connect two phones full time via Bluetooth, with secure and simple pairing. Calls to either phone can be received by a push of a key on the head unit.Bluetooth Hands-Free Calling and Audio Streaming. Stay safe and obey local hands-free laws with built-in Bluetooth (HFP). From hands-free calling, wireless audio streaming (A2DP) with artist, album, and song search, simple pairing, and control audio (AVRCP), Bluetooth wireless technology has made life in the vehicle much more convenient.Dash kit: CD-K642 Double DIN. 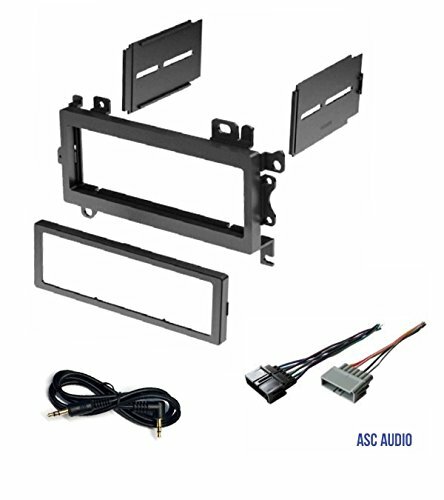 This dash kit allows you to replace your vehicle's factory stereo to improve the overall sound quality of your car audio system. 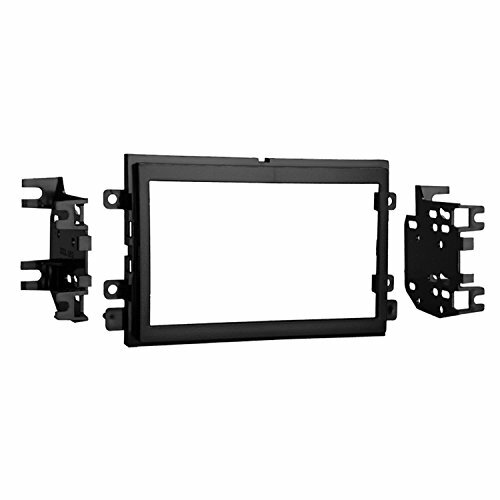 It has been designed with high quality automotive grade ABS plastic to match the texture of your factory dash. Installation of this kit is simple. No special tools are required and the included step-by-step instructions will guide you through the install.Wire harness: CWH-642 Wire Harness.